The chidlren really enjoyed helping Mrs Bettridge and Miss Donaldson decorate our windows. Here are some pictures of their beautiful designs. We think that they look lovely. Our New Jail Role Play Area. Christmas has arrived in Nursery. The children have had a successful first week back. They have enjoyed seeing old friends and making new ones. They have been reminded of our nursery rules and routines. They are being little superstars with this and we are very proud of how well they have settled. We look forward to welcoming new friends next week. 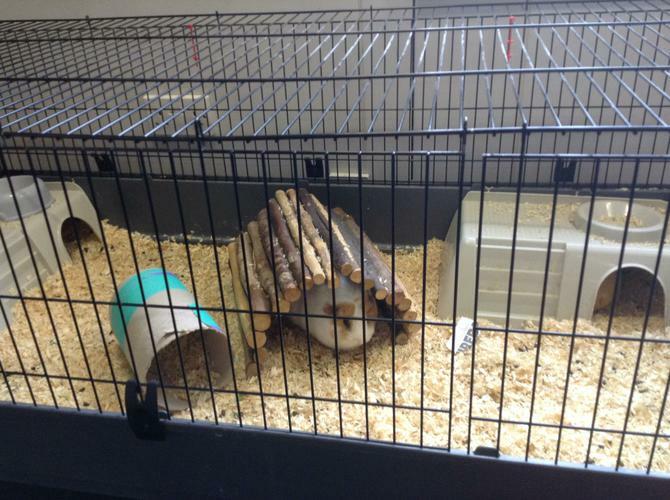 We have spent some time over the past couple of weeks getting to know our Nursery guinea pigs, Poppy, Anna and Elsa. They are available for weekend sleepovers, subject to prior arrangement. Please speak to a member of the nursery team if you are interested in hosting them!